SKF has launched a new robust steering rack bearing for cars with Electric Power Steering (EPS), that enables a smoother and more precise steering. This bearing reduces friction by up to 30 percent, increasesload resistanceup to 17 percent and durability by 20 per cent. “SKF’s new robust steering rack bearing directly supports drivers to handle their cars in a more comfortable way with a more precise steering”, saysAndrea Griseri, Business Development Manager, BU Car Chassis, SKF. “Usage of EPS is increasing in vehicles produced today. Since steering products need to manage tough loading conditions, as well as harsh water, mud and splash environments, it is a demanding application. 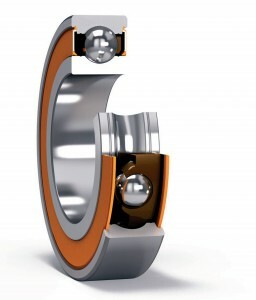 We have met the very high demands with our new innovative design for this bearing”. This robust steering rack bearing includes an improved internal design, comprising solid shoulders to support high loads and shocks as well as reduced friction torque. The new patented cage design enables the balls to move more freely and their movements are not disturbed by the cage pockets.